1789 Aspen Ln, Weston, FL.| MLS# A10613746 | Susan J Penn l Best Agent l Buy & Sell South Florida Homes! This is the home you have been looking for! Beautifully maintained by the original owners, ready to move in. Three bedrooms / 2 bathrooms. The Aspen model boasts a bright and open floor plan perfect for your family and entertaining. Property has brand new stainless steel appliances, AC unit and flooring. Master suite has walk-in closets, and double sinks in bathroom. SMART technology on sprinkler system and AC system. 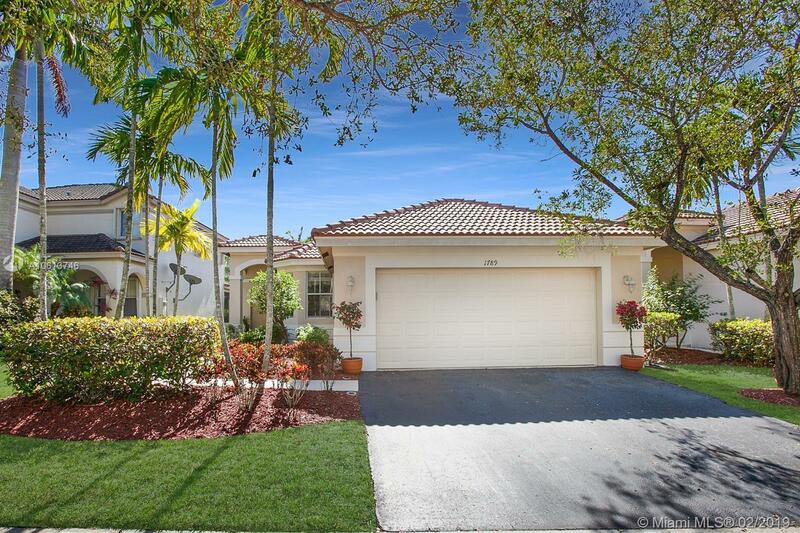 Located in the desirable gated community of Savanna, family oriented in Weston. Amazing amenities resort style living, offering 3 swimming pools playground, miniature golf, basketball courts, Roller hockey rink, soccer field, clubhouse and more!! Great location conveniently located to highways, shopping plazas, and A+ rated schools.